Ship fuel can’t melt ice bergs! Well obviously they planted bombs on the titanic just to blame the muslims . Ve all know zat der Juden have this Titanik gesunken, ja? Es war a person named ICEBERG, vhich is clear is was a jude, correct? Und die conspiracy goes zat he declared war on all meat eating personnen, by inventing zis ICEBERG-salad. TRUE conspiracy, ja? 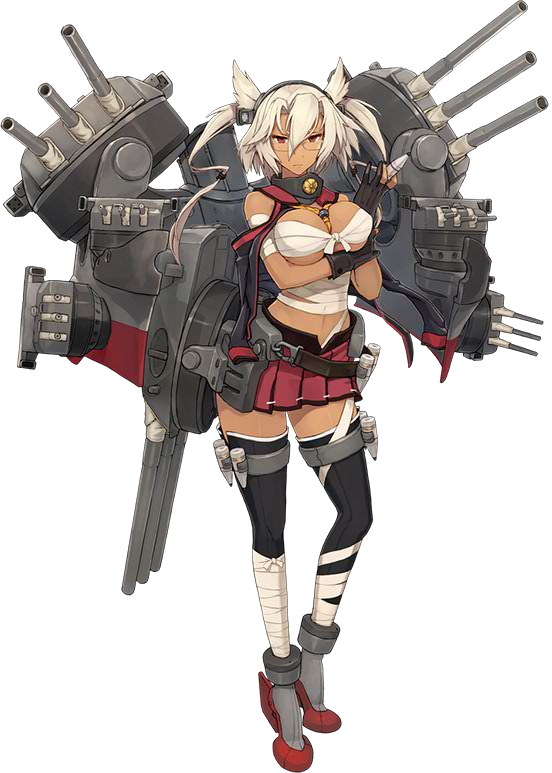 did you kids hear about how they found the wreck of musashi just now? Ice doesn’t sink in water, it’s just another state of water. 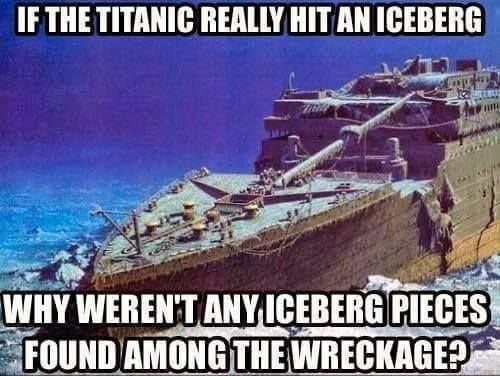 Otherwise Titanic wouldn’t even hit the iceberg in the first place. And all the iceberg pieces that were left on surface swam away from the wreckplace within few hours after the wreck.